With the introduction of its Solstice Class of ships, Celebrity Cruises entered a new era of larger ships and higher capacity, but don't mourn just yet for the little cruise line that offers personalized service. Doubts emerged with the birth of its Millennium-class ships, but the line managed quite nicely, adding a series of enhancements that pleased even the most stalwart fans of smaller ships. Celebrity Solstice (2008), Celebrity Equinox (2009), Celebrity Eclipse (2010), Celebrity Silhouette (2011) and Celebrity Reflection (2012) measure 122,000 tons (Silhouette and Reflection are slightly larger). All are about 30 percent larger than Celebrity's Millennium-class ships. With the announcement of a new class of ships, the Edge Class, the line will go back to its "small ship" roots; the two vessels, launching in 2018 and 2020, will carry 2,900 passengers each. Beginning with its Solstice Class, Celebrity rocked the notion that a cruise line that positions itself in the "premium" market must keep its ships small and cozy. The plan has worked. The interior architecture of the Solstice-lass ships is the best we've seen in some time, and even on a full sailing, the ships feel half empty. Passenger flow is excellent, with no lines and no crowding, and onboard evolutions -- including a top-of-ship Lawn Club featuring real grass -- have been welcomed and successful. The Solstice-class features were so popular that Celebrity added some of the restaurant, lounge and decor concepts to its Millennium-class ships. Aside from these "new ship" developments, Celebrity Cruises has spent the past few years -- pretty much since the launch of its last Millennium-class ship, Constellation, in 2002 -- upgrading onboard services and amenities. The goal in turning its attention inward is to introduce enhancements that would position the cruise line as a competitor to luxury lines, albeit with a younger passenger demographic. Celebrity was founded in 1989 by the Greece-based Chandris Group, which established the line's reputation as an upscale big-ship operator. Celebrity was acquired by Royal Caribbean in 1997 and operates as its sister cruise line. 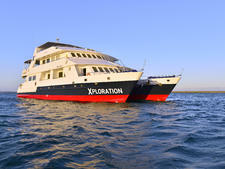 With the 2004 launch of its wildly successful Celebrity Xpedition program, the line has been able to offer its upscale, active passenger base a new option: a once-in-a-lifetime, up-close-and-personal Galapagos Islands experience. 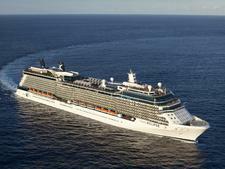 Celebrity has become the only big-ship cruise line to offer year-round sailings there. It's been so successful, Celebrity will add two more ships to the region -- Celebrity Xperience and Celebrity Xploration -- in 2017. Celebrity has always kept an equal focus on maintaining its existing ships while adding new vessels to the fleet. In 2018, Celebrity will launch its latest brainchild, Celebrity Edge, the first of four ships in its Edge Class. Watch for the unique cantilevered "Magic Carpet" that moves up and down the ship's side to create purposeful space just when it's needed most. For example, the Magic Carpet can become the tender boarding area, a bar, specialty restaurant or live music venue. At a passenger capacity of 2,918, the Edge Class is slightly larger than most of the ship's in the line's incredibly popular Solstice Class. Solstice, Equinox, Eclipse and Silhouette welcome 2,850 passengers per cruise while Reflection is slightly larger with a passenger complement of 3,046. The Lawn Club with its real grass on the top deck was a focal point of all Solstice-class ships. It continues to be the place to sunbathe, play bocce or swig some sangria during a cruise. Ships also have incredibly curated art collections, an adults-only Solarium with a pool and hot tubs under a retractable room, and feature Cellar Masters, a bar inspired by the vineyards of Napa Valley, which brings to life the experience of a global wine tour while you learn about and taste a large variety of wines from around the world. The fleet's oldest ships are those in its Millennium Class: Millennium, Infinity, Summit and Constellation. While these ships have sailed around the world a time or two, the line has maintained them quite well and they have all been "Solticized" to include some of the most popular features -- like specialty restaurants Tuscan Grille and Sushi on Five -- from its newer ships. Whether you book a Millennium, Solstice- or Edge-class ship, you can choose from a large range of accommodations, including Concierge Class, AquaClass (with special wellness perks and spa access) and Suite Class that comes with a VIP-only onboard lounge (Michael's Club) and restaurant (Luminae). Across the fleet, Celebrity partners with Canyon Ranch for spa services that include massages, facials, acupuncture, beauty treatments and teeth whitening. The line's Persian Garden thermal suite, with its heated ceramic loungers, is always a hit with cruisers. While Celebrity isn't as kid-friendly as sister cruise line Royal Caribbean and doesn't have any character meet-and-greets, it's got an excellent kids' club program plus in-room babysitting. The bottom line is that Celebrity offers a sophisticated yet comfortable product that can be kicked up a notch by staying in the Suite Class, or purchasing beverage, internet or photo packages to make the experience more all-inclusive. No matter which Celebrity Cruises ship you sail, you're likely to meet a variety of couples and groups that are firmly planted in the upper and middle classes. Most cruisers are English speakers with a majority being Americans and Canadians, Brits -- especially on Celebrity Silhouette that homeports out of Southampton -- and even Australians and New Zealanders (especially on Celebrity Solstice, which offers sailings out of Sydney and Auckland). The average passenger age is in the mid-50s, but expect a slightly older demographic on longer sailings. And, you're more apt to find families and children during Alaska, Bermuda, Bahamas, Caribbean and Mexico voyages, especially when they fall during the summer months or over school breaks. 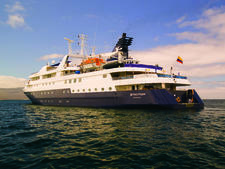 Likewise, Celebrity's expedition offerings in the Galapagos can also draw a younger, more active crowd. For the most festive atmosphere, pick a three-, four- or five-night voyage from Fort Lauderdale to the Bahamas, where the low prices draw Florida residents, multigenerational families, couples and groups of friends. The Celebrity fleet currently consists of 10 ships, with four ships (two cruise ships and two expedition ships) on the way. 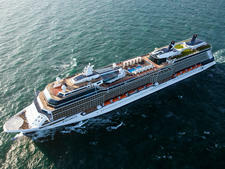 The Millennium Class followed with Celebrity Millennium, Celebrity Infinity, Celebrity Summit and Celebrity Constellation, all measuring 91,000 tons and carrying 1,950 passengers. This group of ships carries through the company's art and culinary visions while also achieving firsts in their own right, including all-glass elevator banks and spa cafes. With the introduction of Celebrity Solstice in November 2008, the line took its vision to the next level. Sister ship Celebrity Equinox followed in summer 2009, Celebrity Eclipse in spring 2010 and Celebrity Silhouette in summer 2011, all of which carry 2,850 passengers. 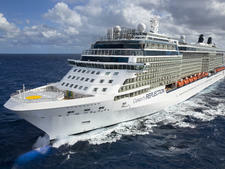 The final Solstice Class ship, Celebrity Reflection, launched in October 2012, with 3,030 passengers. On the refurbishment front, Celebrity invested $100-plus million to overhaul its four Millennium-class ships. The four ships gained several of the most popular features found on the Solstice Class quartet, including a creperie and Italian steakhouse. Celebrity Constellation was the first to receive the dramatic makeover when it went under the knife in spring 2010. Infinity (November 2011), Summit (January 2012) and Millennium (April 2012) followed. Summit, Infinity and Millennium underwent further renovation in 2015 and 2016, adding the Rooftop Terrace, a top-deck movie viewing area, and Tuscan Grill restaurants. The Bistro on Five creperie was also transitioned to Sushi on Five, an a la carte sushi restaurant, in 2016.